Hennock is one of the highest villages in Devon commanding spectacular views of the Teign valley. 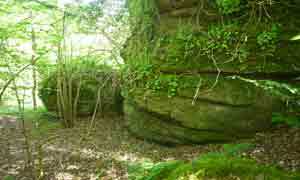 You have a feeling that the region surrounding Hennock (Hanoch or Hainoc in the Domesday book ) is still steeped in the past ,with ancient tracks & signs of pre-Victorian rock mining as you walk through the bluebell woods. Parking:Free Car Park near the school. Car access to Hennock is via narrow lanes. 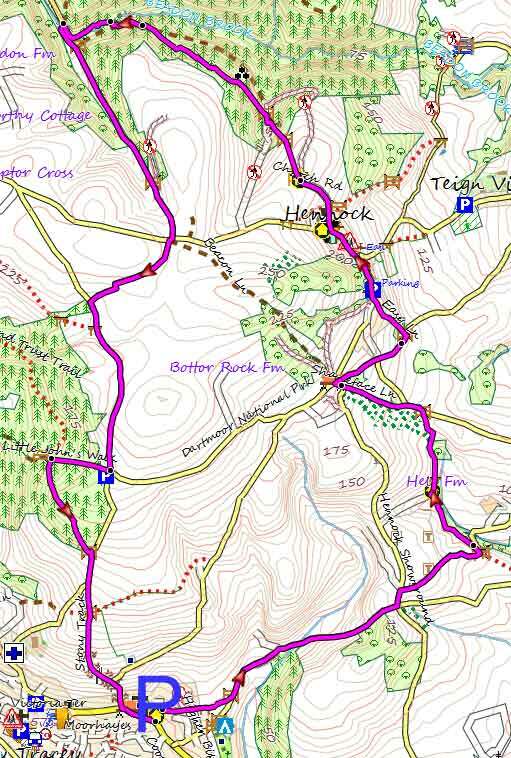 However,this delightful walk starts in Bovey Tracy and steadily climbs up to Hennock,so it makes an ideal pub walk. 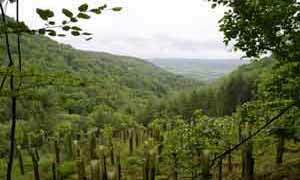 Though the route follows fairly long stretches of quiet lanes,the views of the Valley and Dartmoor are stunning. After Hennock,you follow a public foot path through Great Rock Copse,known for its Victorian iron mines - here they also extracted a mineral used by the Royal Navy to make their battleships rust proof. 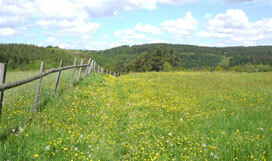 The paths are well defined and the rich fauna,particularly in early summer,is a treat to behold. 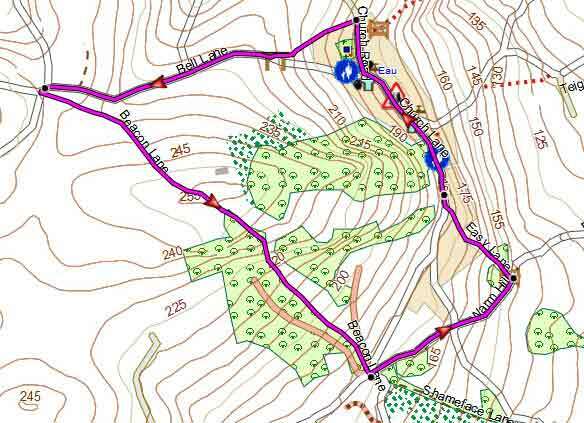 Note:There are some steady climbs and the descents,particularly at the end ,can be quite steep. 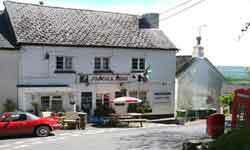 It boasts a school,village hall and a pub ,the Palk Arms. 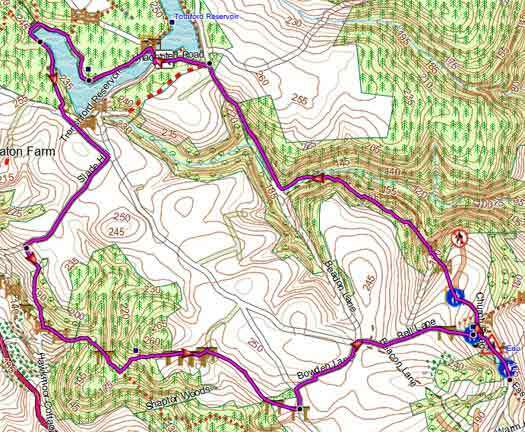 This popular and fairly easy walk follows well maintained footpaths through the beautiful Parke estate,near Bovey Tracey,now belonging to the National Trust. Delightful walk from this picturesque village to Tottiford Reservoir. Delightful walks from a very picturesque village into a most unspoilt and dramatic part of Devon . This walk gives you a flavour of the beautiful area surrounding Hennock.